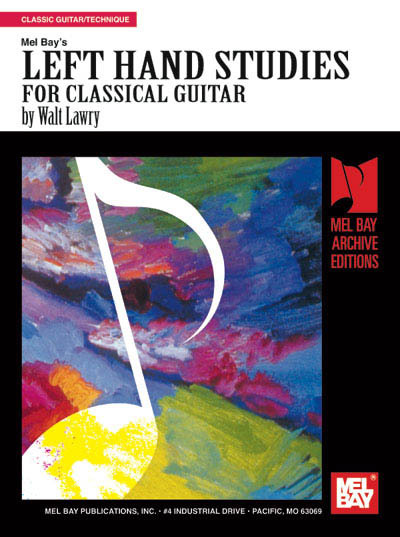 "This book of exercises and studies is designed to develop left hand technique. The book concentrates on eight different technical areas: chords and chord changing skills, barres, shifts, slurs, scales, intervals, extensions, and left hand harmonics. The text is divided into two parts; a section of exercises and a section of study pieces. The exercises are grouped according to the skill areas they concentrate on and are accompanied by explanatory notes. Most of the study pieces concentrate on two or more skill areas. For that reason the particular skill areas for each piece are listed both in the Table of Contents and at the beginning of the piece itself. Study pieces can be easily matched to exercises, and vice versa. The pieces themselves consist of music written originally for guitar, and of transcriptions.